For the modern car collector and hobbyist, no ode to sports cars is complete without Pontiac. Pontiac is known for producing one of the finest sports cars, the Pontiac Solstice. 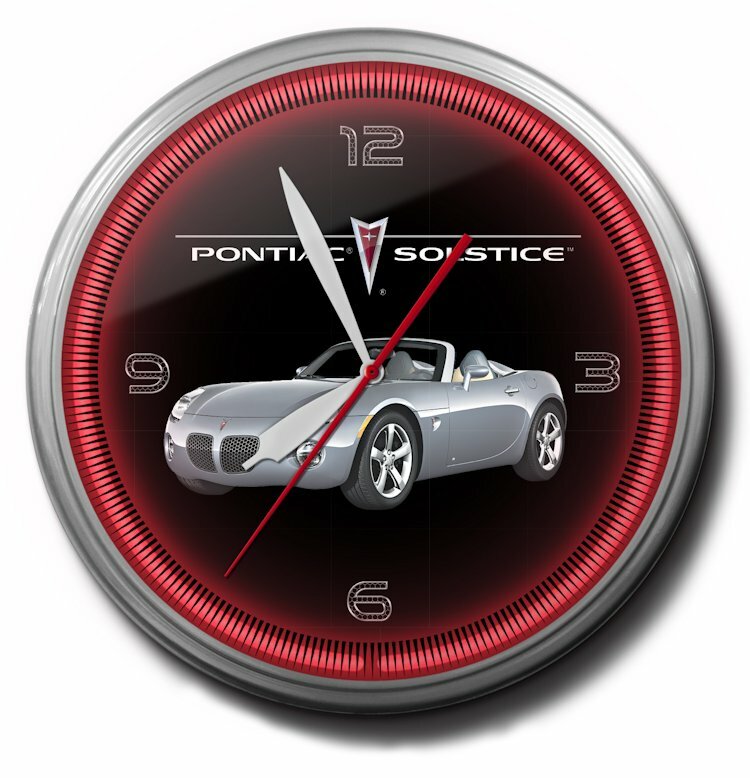 Many Solstice owners just love their two-seater sports car, and what better way to show your pride than to own one of these high-quality, neon clocks which features your automotive love for your Solstice. Image Time promises any purchaser that these beautiful collector's clocks will keep time faithfully through the years without fail. Image Time clocks regularly tick along over 100,000 hours for decades. 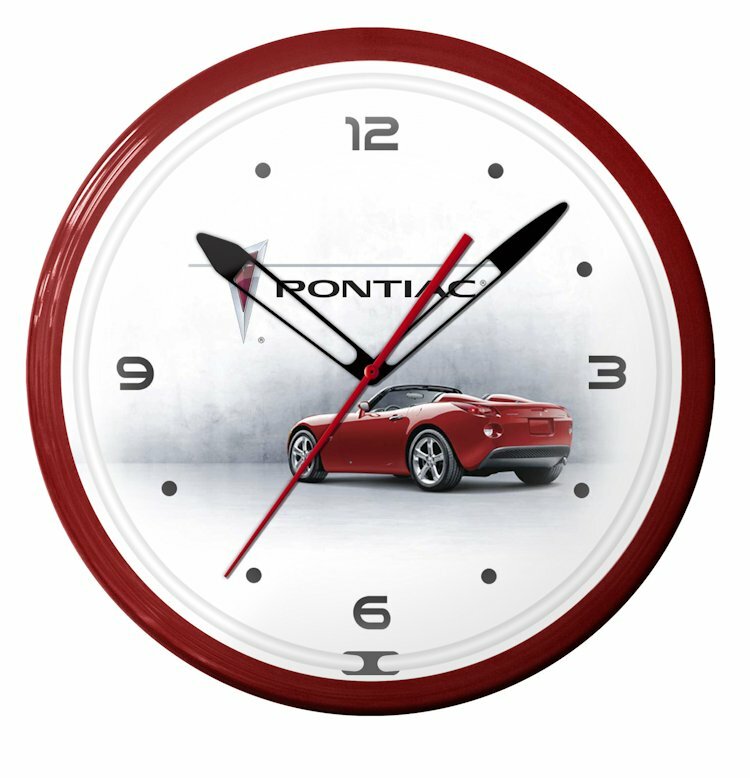 Car collectors and sports car enthusiasts will love these simple yet elegant clock designs! These clocks make great gifts. 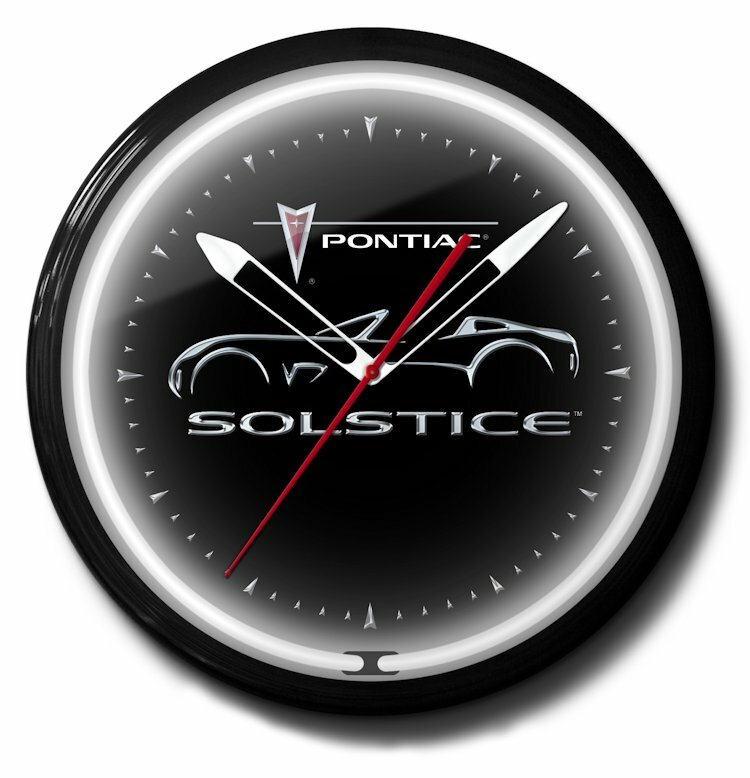 Subject: Neon Clocks with Pontiac Solstice artwork work / made in America.